A core reason our company enjoys its hard-earned reputation for designing and installing exceptional outdoor living spaces for Puget Sound homeowners is the skill and experience of our team of professionals. Many of our team members have been with Lifestyle Landscapes for more than a decade, working together to exceed their customers’ expectations. The members of our team are introduced here. 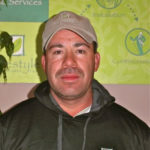 Eloy is a landscape specialist has worked with the Lifestyle Landscapes team from our company’s very beginning in 2002. Mr. Valdez has earned the respect of every client for his skills, efficiency and care as he and his team install beautiful landscapes. Eloy and Linda live in Burien. Linda’s baked delicacies occasionally find their way to the Lifestyle Landscapes office. Our clients have enjoyed Juan’s hardscape expertise for the past eleven years. From flagstones to masonry, he does it all! He also plays on a basketball league on the weekends. Juan lives in Burien with his wife, Hilda, and two daughters. Jose is our expert on water features, irrigation, and landscape lighting. He has been a certified irrigation technician since 1998, and has been a key part of the Lifestyle Landscapes crew since he joined the team in 2004. Jose, his wife Silvia and their two children live in Des Moines. 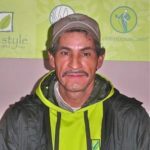 During his free time, Jose plays basketball with his friends, watches soccer, and spends time with his kids. When he has the time to travel, he enjoys visiting his family in Mexico. Arlene holds a Bachelors Degree in Landscape Architecture from the University of Washington and has over ten years of landscape design experience. Prior to founding Lifestyle Landscapes, Arlene held the position of Senior Designer at a local landscape design-build company. Arlene is a Seattle native and enjoys the social aspects of golf and the relaxation benefits of yoga. Noelle holds a bachelor degree in Landscape Architecture from Louisiana State University. She has practiced professionally in the field of landscape architecture for over 7 years. Noelle is originally from Louisiana, but the beauty of the Northwest has captured her heart. In her spare time she enjoys reading, cooking with her husband, and gardening. She has come to think of herself as a true part of the 12th man of Seattle, Go Hawks!!!! Roger founded Lifestyle Landscape in 2002 after the extended completion of a major landscape design and installation project on his property by a landscape services company. During this experience Mr. Franklin, an entrepreneur, recognized the need for a landscape design and installation firm that provided quality landscaping services to discerning homeowners throughout the Puget Sound. He assembled a team of senior landscape professionals and business managers to form Lifestyle Landscapes. From it’s inception, the company’s business practices support a stable organization that exceeds client expectations, enhances the client’s lifestyle and increased the client’s property value. Mr. Franklin holds a BA degree in Mathematics and Physics and has more than thirty years of business ownership and management experience.